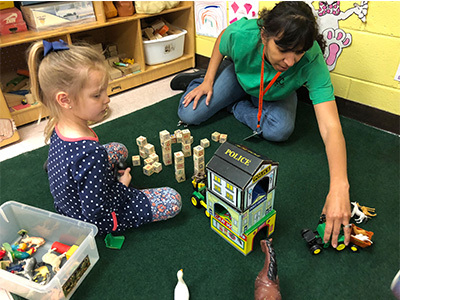 The mission of the SCC Child Development Center is to provide exemplary early childhood education for the children of students, staff and faculty of Southeastern Community College, and the surrounding community by offering a model program tailored to ensure the quality of a child’s daily experiences while building a foundation for future learning. The SCC Child Development Center maintains a five-star rated childcare license from the Division of Child Development. The lab is located in the H-Building on SCC’s campus. 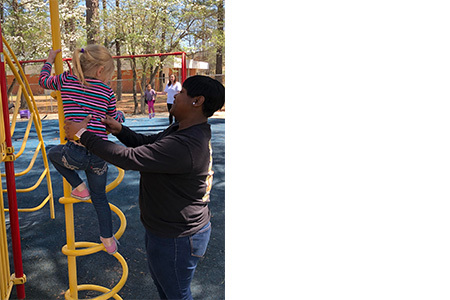 It is available to all faculty, students, and the surrounding community residents and serves children 3-5 years of age. 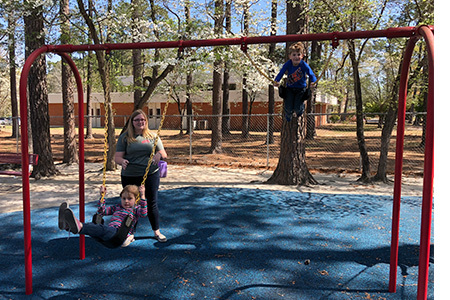 The SCC Child Development Center is a lab preschool that serves as a component of the instructional program for students in the Early Childhood Education Department, as well as other programs at Southeastern Community College. With this opportunity comes the benefit of having students participate in and observe classroom settings. This offers a hands-on approach to learning and is a tremendous teaching tool for the entire college. 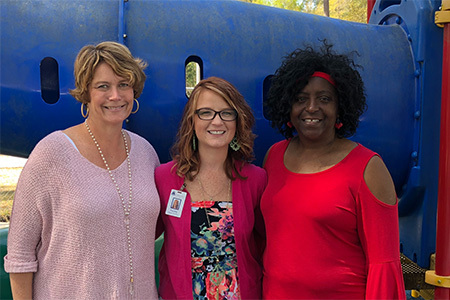 Our staff welcomes and encourages you to visit our facility and enroll your child today! 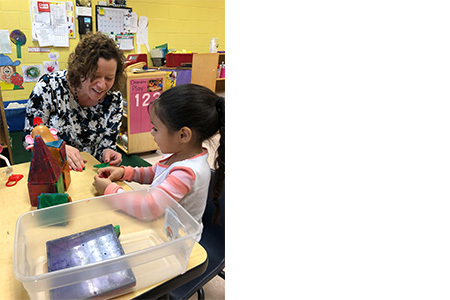 The Child Development Center at SCC provides a well-balanced, developmentally appropriate program for each child in a loving, nurturing, and safe environment. It is our philosophy that children learn best through creative, hands-on play in a setting that is rich with learning opportunities. We provide an environment that fosters children’s physical, cognitive, social and emotional growth. Each of us thinks of ourselves as a community of caregivers, invested in the success of every child. The important role of parents and families in determining what is best for their child is honored and encouraged. We recognize and respect the uniqueness and potential of each child. Cultural diversity is viewed as enriching our program, we strive for open and respectful communication that helps guide us to respond to the diverse needs of the children and families in our program.